We are down in New Orleans at the National Association of Professional Organizers 25th Annual Conference. I am presenting on Friday. The topic “All Things Google: Tools to Organize Your Clients and Organizing Business with my co-presenter, Josh Zerkel. I am a Google lover and will soon be starting a regular post on “Using Google to be More Productive” so stay tuned. 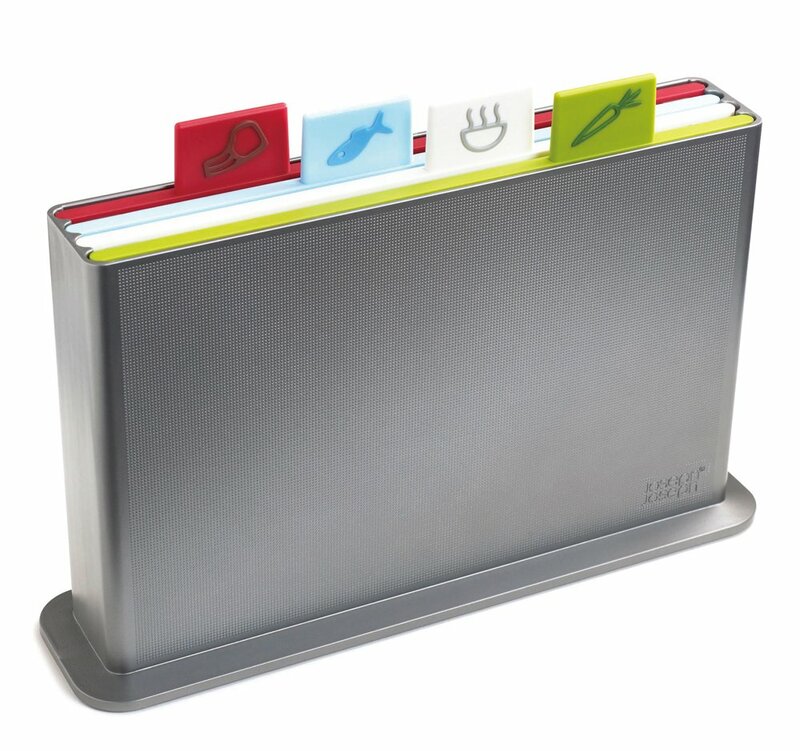 We have seen many cutting boards that are color coded to avoid cross contamination. We also know that many times in kitchens cutting boards don’t have a real “home”. This set comes in two colors – silver or dark gray and two sizes – small and large. 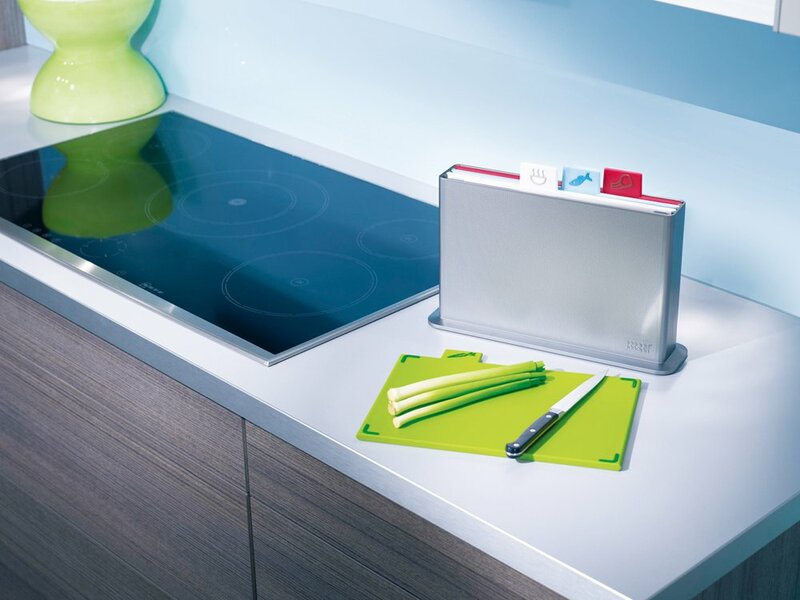 They stack within their case so they are vertical taking up less space in your cabinets or countertop. The chopping boards get “filed” when they are not in use. What do you think? Would you use it or should we lose it? Leave a comment below. This has nothing to do with this post, but . . . I watched your video on organizing your office drawer. What would I search for to find the tray that sits on the top edge of the drawer and can slide forward or backwards so you can access what is in the drawer I have some deep drawers in several places in my home and would LOVE to get some of those. Thanks! It is called the Drawer Doubler. http://ow.ly/lWqwz It is great for desk and vanity drawers. Also, the … junk drawer. Glad you found inspiration in the videos.